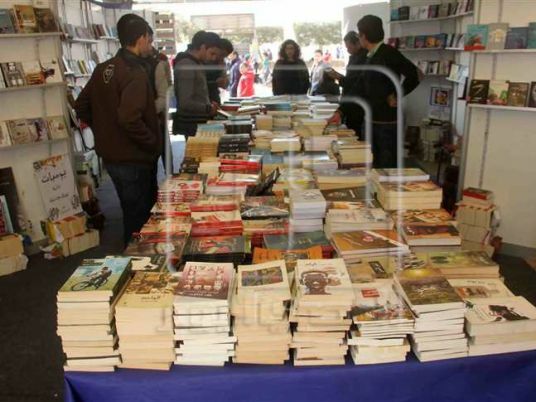 On the sixth day of the 48th Cairo International Book Fair, visitors, mostly young people, continued to flock to the international arena in Nasr City, focusing primarily on novels, particularly those in the romance and horror genres. In the Alef bookstore partition, "Familia" by Nourhan Abu Bakr was widely sold, followed by "Cinderella Secret" by Heba al-Sawah, and "Al-Waqad" by Ahmed Younes. In Diwan publishing house partition, colloquial poetry saw a high turnout of buyers, especially "Lamma Konna" and "Matloub Habib" collections by poet Mohamed Ibrahim. Buyers continued to ask for the novel "Sawfa Ahky Anka", written a year ago by Ahmed Mehanna. There was also a high demand for "Shaklaha Safret" by Soha al-Fiqqi. In al-Shorouq library's partition, demand was the highest on novels by famous authors such as "Ard al-Elah" by Ahmed Mourad, "Rehlet al-Dam" and "Mawlana" by Ibrahim Eissa, "al-Loghz Waraa al-Sotour" by Ahmed Khaled Tafiq, "Nour" by Youssef Zeidan, and "Baleegh" by Talal Faisal. The novel "Qawaed al-Eshq al-Arbaoon" continued to attract young readers, as well as Mohamed Sadek's latest novel "Anta … Fal Yabdaa al-Abath" after the great succeess he achieved through his two previous novels "Hepta" and "Insta Hayah". Some young visitors said marketing compaigns on social networking websites, like Facebook, contributed significantly to the increasing demand for certain novels, especially those by famous authors. Prime Minister Sherif Ismail inaugurated the 48th session of the Cairo International Book Fair on Thursday. Morocco is the guest of honor for 2017. In a statement on January 24, the General Egyptian Book Organization (GEBO) said the fair would continue until February 10, and would be entitled “Youth and Culture of the Future”. Thirty-five countries, including 16 Arab countries, six African countries and 13 foreign countries, are taking part in the fair. Also participating are 670 publishers, including six African, 13 foreign and 200 Arab publishers in addition to 451 Egyptian publishers including seven press institutions, 31 governmental authorities and 119 kiosks from Azbakeya book market.